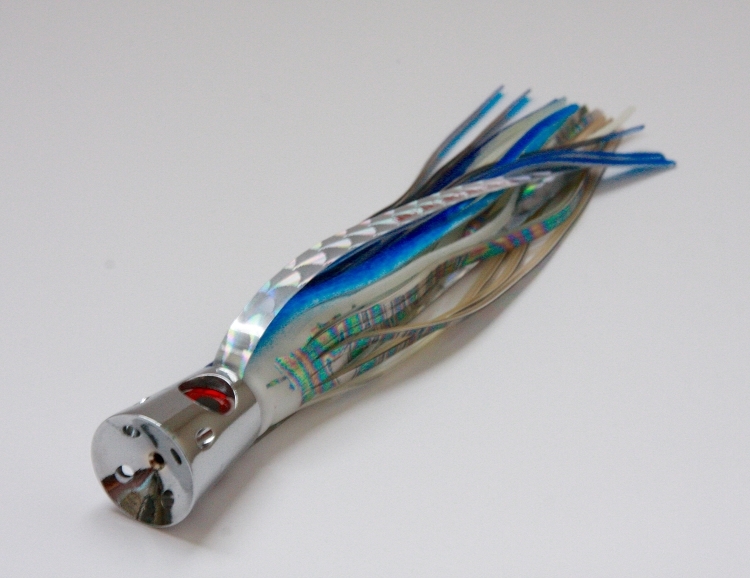 Wide Scoop Jet - 2oz Chrome/Brass lure head w/hair skirt - Super loud bubble trail, bead rigged on 6' of Ande Fluorocarbon, with a Mustad SS 7/0, and loop protector. 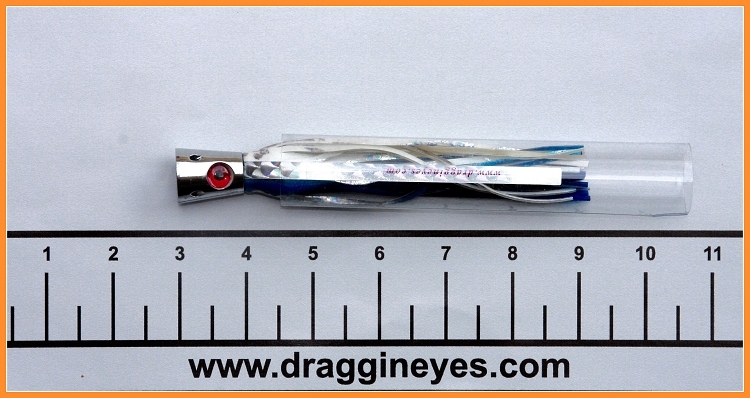 We add a custom made Mylar strip for more flash to this already successful lure. 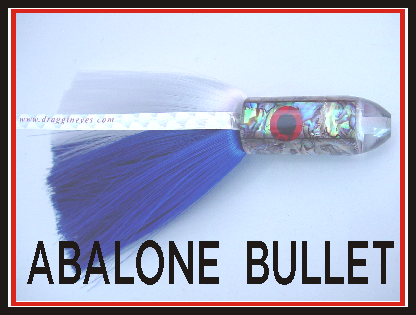 Great Short Rigger or Flat Corner lure. 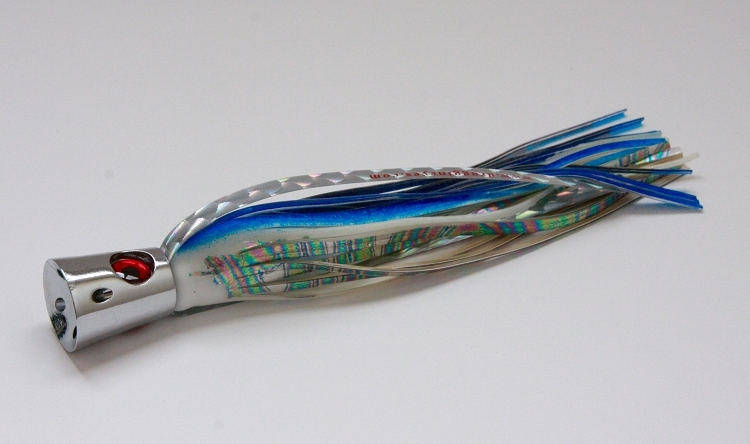 Comes in a ventilated lure pouch.